The natural world is a kaleidoscope of beautiful colours: from the bright pastels that signify the first buds of spring and the lush green of freshly cut summer grass to the rusty red copper of autumn leaves and the frosted white blanket of snow in winter. Bring nature to life in every season with this beautiful colouring book, published in partnership with the RSPB. What colour are the petals of the Michaelmas Daisies? What texture are the kingfisher's feathers? What fruit will the hedgehog nestle up in for hibernation? Flora Waycott's delicate black and white illustrations of birds, bugs, animals, flowers and more will take you on a creative journey of discovery through nature. So grab your colouring pencils and get started. 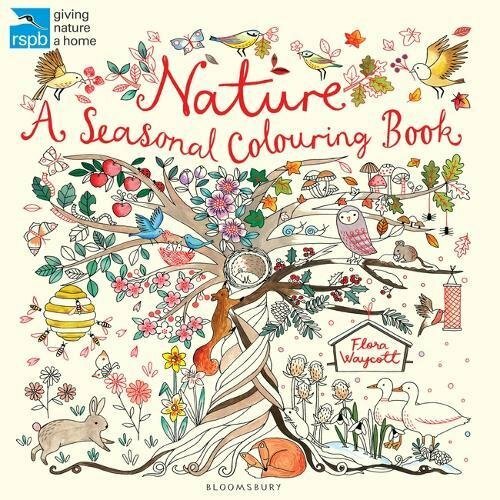 Book Description&colon; Scribble your way through the seasons, and watch nature evolve through the year with this beautiful colouring book, published in partnership with the RSPB.